Follow these tips and improve your score! Find a specialized ACT tutor, class or online program to help you learn helpful, correct and important strategies for to ensure you succeed on the ACT exam. To review your ACT skills purchase a nationally recognized review book or online program. ACT, Inc. publishes The Real Act Prep Guide which includes 3 useful, retired ACT exams you can use for practice. The Science portion of the ACT has much more to do with reasoning than science. Practice by deciphering tables and graphs rather than focusing on studying actual science. Most of the Science portion has little to no correlation to the science most students have studied in school. Read vigorously, the more you read the better you will get at increasing your speed, vocabulary and grammar. All of these are important in the Reading and English portions of the test. Math is always one of the hardest portions of the test. Identify what you need help on and focus on these points of weakness. Remember to memorize formulas and equations. The Math portion gets harder as you progress through the test. Break the Math potion into three sections, easy, medium and difficult. Make sure you complete each section before moving onto the next. Develop a strategy that works for you when going through each portion of the test. Practice this strategy repeatedly until you’re sure you’ve mastered it. Look to see if there are any test prep organizations in your area that can help provide you with a practice test and diagnostic analysis. Often times these services are provided for free. Always time yourself! When you practice the test for the first time, time yourself without stopping. This way you can see how long it takes you to complete each portion. Later limit your time to ensure that you are finishing in the allowed time. Practice makes perfect. So always practice, practice and then practice more. 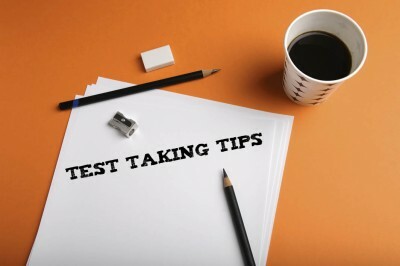 Take a full practice exam several times to train your body and mind for the real 3-5 hour test. This will help you be fully prepared and conditioned for the real thing.